The door closes behind you and off you go on your run. All being well you start out nice and slowly and build momentum… or like most people you go out too quickly and pay for it a few miles down the road. Regardless either if you are doing a training run at home, on the Dreadmill or you are in a race, from time to time we all get a little puffed out. In this blog I’m going to talk about ways in which we can deal with being puffed out and keep running, rather than the dreaded alternative mid training…. walking! 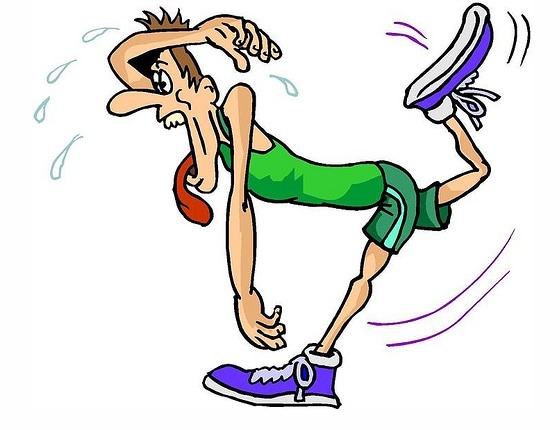 Being puffed out is normal for us runners. Some people get it at mile 1, some at mile 2, some at mile 20 and others beyond 30 miles. Regardless it happens to the best of us. It’s that feeling when your breathing just doesn’t feel right all of a sudden. You may or may not have even been going too fast for this to happen. Sometimes it can not be explained. It’s a complete mystery. All we know is that, unless we are speed training, we would like to get back in that zone! There are a few things you can do to help with this situation. You do not need to walk 9/10 times. In fact I would suggest not walking unless absolutely necessary. Reducing to a walk can kick your self esteem and confidence and make you feel as though you are not good enough. This simply is not the case. Next time you are on a run and you are feeling all puffed out, just try and reduce your pace a little. Even if you are going at your normal pace and you are usually fine. I often find that I can be running my normal pace and I get really puffed out. I hardly ever walk. I reduce my pace so it’s very easy to run, my breath re regulates itself and I then find I can push my pace back up to normal without any of the above symptoms any more. Another method you can use to help when you feel puffed out is to alter your focus onto something more productive. This method I am going to share with you has helped me on many occasions. Including recently on my 4:05:03 marathon. I also used this method when I fast-packed (ran and walked) 90 miles in 50 hours including sleep time. On day two my feet were so sore. I had hardly ran much and at about mile 20 I was forcing myself forward with each step lugging my 10kg bag and sulking. At mile 30 when I wasn’t sure I could go much further I came to a hill from the top. I saw a man running up that hill. He didn’t see me at first and in an instant I swore I wouldn’t allow him to see me in my Vegan Runners Club technical T-shirt walking down a hill he was running up! Regardless of whether he had maybe only done 3 or 4 miles and I’d done 30! I started counting, I used this method I’m going to share with you and it allowed me to run an entire 10 miles more non stop. So in total I covered 40 miles that day. Here is what you need to do. Every time your right foot hits the ground count 1,2,3,4 right up to 20. Once you hit 20 start right over again. Just keep doing this over and over and over. What you are doing here is changing your focus from how hard you are finding this part of your run onto the counting. When you do this you may find that your form and posture gets better, your breathing regulates itself again, you never needed to stop and you may even be going faster than before. Now sometimes our focus is so far gone we can’t even work on 1-20…. that’s fine. All you need to do is focus on counting each right step 1,2,3,4 and then again 1,2,3,4 over and over and over. Once your focus strengthens you can extend this to a count of 1,2,3,4 up to 10 and then up to 20. This can also work when you have given up hope and stopped as well. Now let’s say you are on a long run or in a race. How many of us have just stopped dead in our tracks and felt like they can’t go on any more? Usually when we are miles away from anyway of getting home right? Running right away is not an option as we are struggling to barely even consider walking! But we can maybe walk a few steps can’t we? Use this same practice. Gently walk and count your steps. Because your cadence is much slower in walking you can count on each left and right step. I would recommend starting with a count of 1-10 and if you find that easy after a few times repeating go on up to 1-20. Keep going until you feel comfortable enough to just very slowly start running again. You don’t even need to go your normal pace. Just barely even running. You’ll still make a better time than walking and build endurance. Often is the case shortly after that you’ll speed up again and bag a good few more miles with ease…. how did we do this? A few moments ago we never even thought we would make it home! It’s just simply refocussing your attention to the steps instead of how tired you are, and it really does work! Sometimes when you do this your mind will drift off to other things and you may become tired again. That doesn’t mean it doesn’t work. Just simply gently remind yourself to bring your attention back again to the counting. It’s the minds nature to wander off, but in practising this and refocussing you will become better at it. I hope you get a chance to practice this in your training. I can’t describe how much it has helped me and I really hope it will help you too. This entry was posted on Wednesday, July 29th, 2015 at 13:32	and tagged with running and tired, running diet, running out of breath, running training tips, scotty runner, scotty runner hassall, scottyrunner, Ultra runner, ultra running, Vegan runners, Vegan Runners UK, veganrunner, vegans and posted in Running. You can follow any responses to this entry through the RSS 2.0 feed.